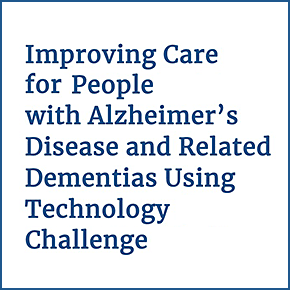 Through this challenge, the National Institute on Aging seeks to reward and spur the development of solutions for a technology-based application, fostering connections between relevant stakeholders to use technology, or the development of new technology applications to improve dementia care coordination and/or care navigation. Though the solution should foster connections between relevant stakeholders to use technology or develop new technology applications, it may be targeted at consumers (persons with dementia, caregivers), healthcare providers, healthcare service organizations, and/or health systems, and/or community, local, or state governments. Effective dementia care management has been shown to improve outcomes such as reducing behavioral and psychological symptoms of dementia and lower health care costs by reducing emergency department visits, inpatient hospitalizations, and some readmissions. This competition is intended to stimulate innovation in use of technology to improve care coordination and/or navigation and/or aid with the care experience so that overall dementia care quality is improved. A panel of federal employees serving as judges will review the Challenge submissions.